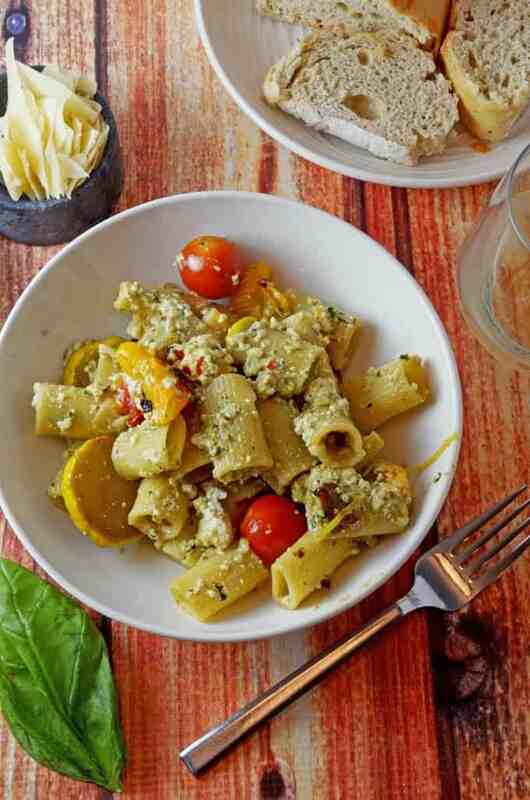 Zucchini and Pasta with Fresh Ricotta and Basil Pesto represents the pinnacle of summer fare. While using all fresh ingredients, from farmers market produce to homemade ricotta cheese, this ranks as one of this summer’s best meals. We are in love with summer. For one thing, there are few places more pleasant than finding yourself surrounded by the green rolling pastures of Wisconsin in mid-August. Furthermore and most relevant to our purpose here, it’s not just the most beautiful time of the year here, it is also the most delicious. It isn’t simply the summer food and weather that we love in Wisconsin. It is living and breathing the season that we cherish but most of all experiencing it. Bike rides down quiet country roads while watching the corn grow on a daily basis, and swimming in the cool spring-fed lakes. For those of us who live here, these are all obviously rights of summer passage in Wisconsin. In our family there is yet one more big part of summer here in Wisconsin. It seems like each weekend finds us at our favorite farmers market. Every. Single. Saturday. In Wisconsin, everyone has their favorite place to eat fish on Fridays. And by the same token everyone has their favorite farmers market. 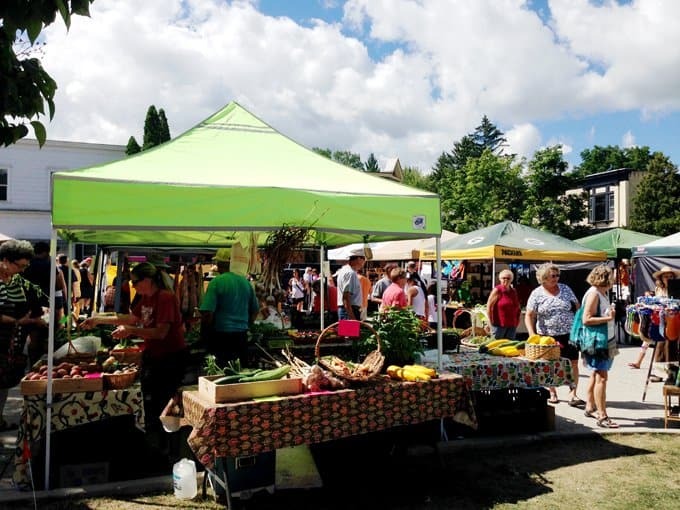 Our favorite farmers market is in the small summer town of Elkhart Lake, just a stone’s throw from our quite weekend cottage oasis, thus making it an enjoyable convenience. This farmers market is a place where we have come to know people. A place where we always bring the kids. And a one-horse town where we can grab lunch and a glass of wine in the afternoon. It is Nirvāṇa to our family and consequently an integral part of our weekend life. 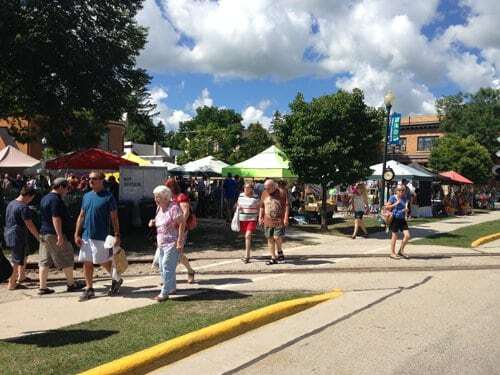 The Wisconsin Summer Town of Elkhart Lake. Our Family’s Favorite Farmers Market. Elkhart Lake, WI. This garlic has a firmer neck (stalk) than the softneck garlic often found in supermarkets. Unlike the softneck variety, hardneck peels easier. This garlic carries flavor nuances indigenous of the soil in which it grew, similar to wine. 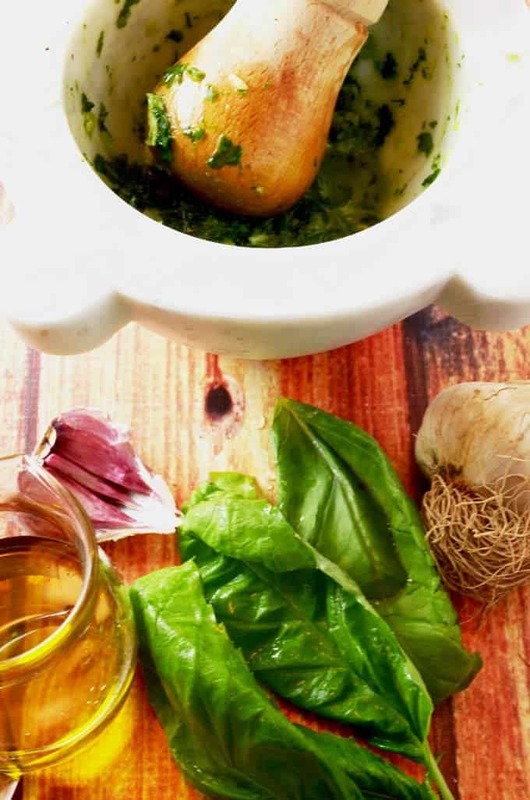 Hardneck garlic has a shorter of just 3 to 4 months, so enjoy it early! 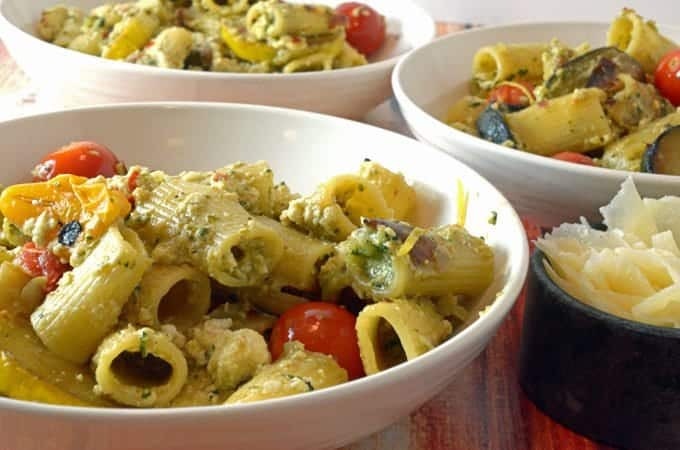 You may have also picked up by the title of this Zucchini and Pasta with Fresh Ricotta and Basil Pesto, the produce is not the only fresh component to this dish. Our Ricotta Cheese from Scratch. Make this and amaze yourself. A week or so ago we showed you how to make this Ricotta Cheese from Scratch. Nothing could have complimented today’s recipe any more completely, because of its freshness and due to its light, creamy character. This dish finishes in one of our favorite cooking vessels: the timeless cast iron skillet. We enjoyed this Zucchini and Pasta with Fresh Ricotta and Basil Pesto so much that we made it twice within a week. 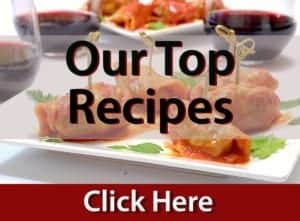 In doing so, we learned a thing or two about this recipe that I want to pass on. More isn’t always better. Due to their moisture content, don’t overdo it with the vegetables. A couple of small zucchini are sufficient. Certainly no more than a pound of it. Too much zucchini adds an over abundance of water to the dish. Size doesn’t always matter, therefore stick to smaller and thinner slices of the zucchini. It sears faster, is firmer, and finally it is less watery. As always fresh is always best. Consequently, we preferred the version of this dish that uses ricotta made on that day (assuming you’re going to make your own – c’mon, you know you want to try this!) 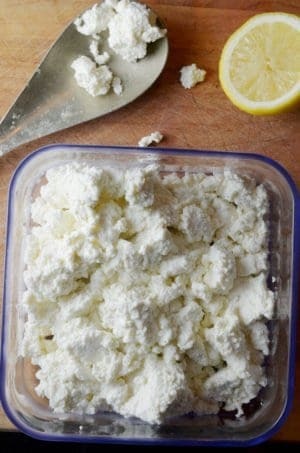 Ricotta dries out a bit with time and because of this the fresh stuff lends a creaminess that everyone went gaga over. Rather than soft and lightly cooked, we preferred the sautéd onion and zucchini with a little brown on their edges. In addition to the added color, this gives a nice texture and a bit of a sweeter finish. Finally, use the leftover whey to add moisture to the dish if necessary. As a result, you’ll be amazed at the flavor that it adds. 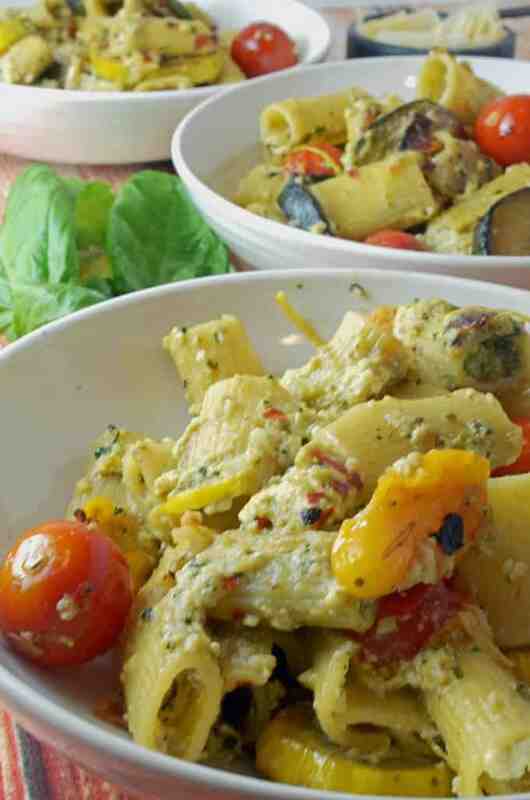 Fresh cherry tomatoes are a great option for this dish. We can’t imagine why you wouldn’t add them. 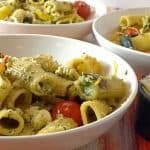 Although we left them off the above list of ingredients, you likely noticed we threw in a couple of cherry tomatoes for some added color and flavor. And yes, they most certainly came from our little bucolic farmers market as well. 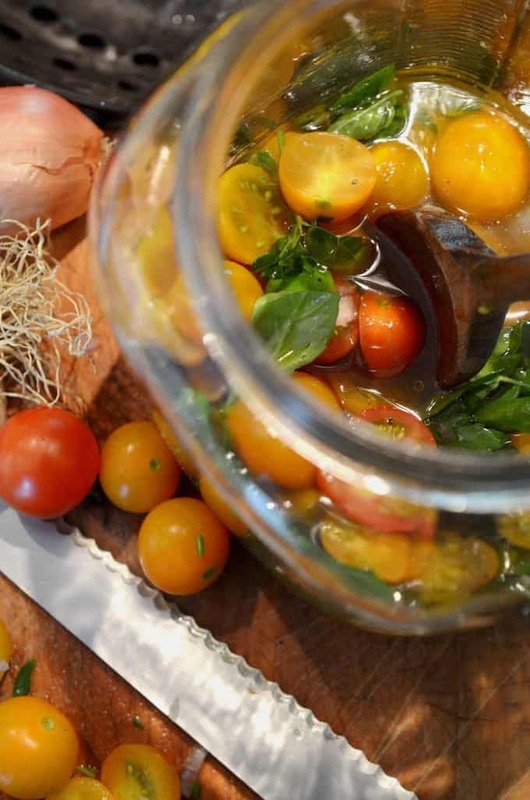 Don’t miss our Marinated Farmers Market Tomatoes Recipe; it’s all fresh and all summer. 1 pounds zucchini sliced into 1/4-inch-thick pieces. Put a pot of water on to boil because you'll want to get that going while you work on the other steps. In a large skillet over medium-high heat, cook the onions and zucchini, season generously with salt and pepper, and continue cooking, stirring frequently until lightly browned and caramelized. Gently fold in optional cherry tomatoes and finally, turn off heat. Add pasta to the boiling water and boil per package instructions but make sure to keep pasta quite al dente. Drain pasta,while reserving 1 cup of cooking water. 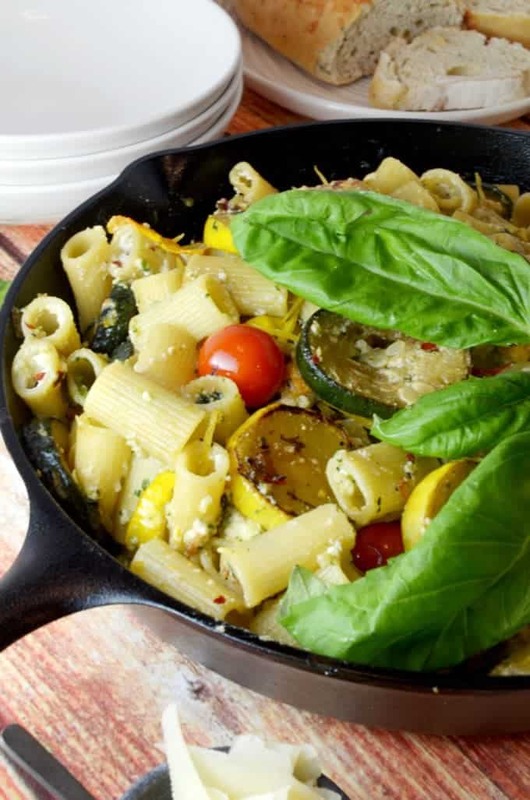 Add cooked pasta to zucchini in skillet and also turn heat to medium-high. Add 1/2 cup cooking water (or preferably, reserved whey from ricotta), then the ricotta, crushed red pepper and lemon zest, stirring to distribute. Check seasoning while adjusting if needed. Cook for 1 minute more. Mixture should finally look creamy. Add a little more pasta water or whey if necessary while using caution not to add too much liquid. Add the basil paste and also half the grated cheese. Quickly stir to incorporate. 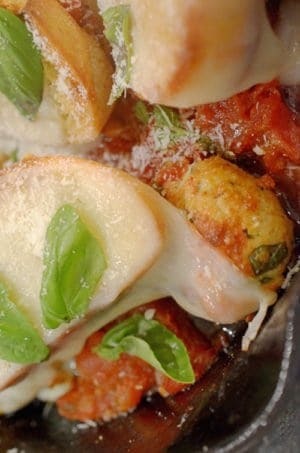 Spoon pasta into warm soup plates and finally sprinkle with additional cheese. Serve immediately. 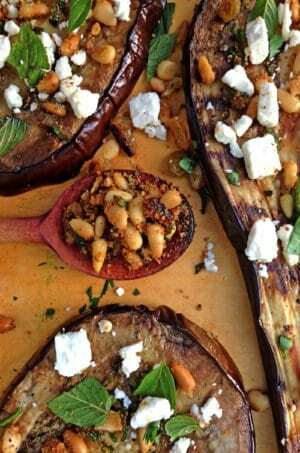 Have a taste of a couple of our other, Best of Summer Meals , from previous years. All my favorites in one casserole dish! Sounds delish! Perfect comfort food and I love all the veggies. 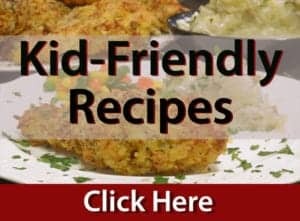 Everything about this recipe is calling out to me! It sounds so fulfilling yet fresh at the same time! And I love that the ingredients came from a Farmer’s Mkt. Thanks for the comments, Renee. You pretty much hit on all of the highlights of this meal that make it so appealing! I hope you try it soon and hope you are having an amazing summer season! Wow, this looks amazing! Love from Minnesota! Howdy, Neighbors! Thanks for the comment and hoping your summer was amazingly delicious as ours! Oh my! Did you say ricotta ? I’m all about this! Thanks for the great comments, Sam. We hope you give this a tate! This is my kind of meal…I love how fresh it is. Thanks, Theresa, we love the fresh in this too! Thank you Sujhey; this was our first ricotta; it wont’ be our last! Thanks so much for the nice comments; we love our little farmers market! Deeeeeeelishousssss! Can’t wait to try with farmers market goodies. Wish you had been here to try!